This article is about the former U.S. Secretary of the Army and Secretary of State. For his son, the New York County District Attorney, see Cyrus Vance Jr.
As Secretary of State, Vance approached foreign policy with an emphasis on negotiation over conflict and a special interest in arms reduction. In April 1980, Vance resigned in protest of Operation Eagle Claw, the secret mission to rescue American hostages in Iran. He was succeeded by Edmund Muskie. Vance was the cousin (and adoptive son) of 1924 Democratic presidential nominee and lawyer John W. Davis. He was the father of Manhattan District Attorney Cyrus Vance Jr.
Vance's uncle John W. Davis, an Ambassador to the United Kingdom and 1924 United States presidential candidate, became his mentor and adopted him. Vance entered the military during World War II, serving in the United States Navy as a gunnery officer on the destroyer USS Hale (DD-642) until 1946. He saw sea action in the Battle of Tarawa, the Battle of Saipan, the Battle of Guam (1944), the Bougainville Campaign, and the Philippines Campaign (1944–1945). After the war, he worked for the Mead Corporation for a year before joining the law firm Simpson Thacher & Bartlett in New York City. In 1957, Senator Lyndon B. Johnson asked Vance to leave Wall Street to work for the United States Senate Committee on Armed Services, where he helped draft the National Aeronautics and Space Act, leading to the creation of NASA. In 1961, Defense Secretary Robert McNamara recruited Vance to become General Counsel of the Department of Defense. He was then made the Secretary of the Army by President John F. Kennedy. He was Secretary when Army units were sent to northern Mississippi in 1962 to protect James Meredith and ensure that the court-ordered integration of the University of Mississippi took place. In 1964, Vance became the United States Deputy Secretary of Defense and now-President Johnson sent Vance to the Panama Canal Zone after student riots. After the 1967 Detroit riot, President Johnson sent Vance to Michigan. Vance next attempted to delay the Cyprus dispute. In 1968, President Johnson sent Vance to South Korea to deal with the USS Pueblo hostage situation. Vance first supported the Vietnam War but by the late 1960s changed his views and resigned from office, advising the president to pull out of South Vietnam. Vance served as a deputy to W. Averell Harriman during the Paris Peace Accords, which stalled due to the involvement of presidential candidate Richard Nixon. Vance called the failed peace talks "one of the great tragedies in history". He received the Presidential Medal of Freedom in 1969. Vance talks with President Carter on the White House lawn, March 1977. 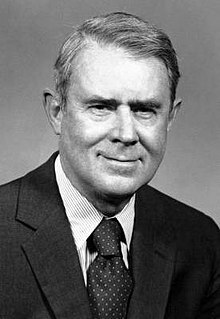 President Jimmy Carter initially wanted to nominate George Ball to become Secretary of State, but, fearing Ball was too liberal to be confirmed, nominated Vance instead. Vance played an integral role as the administration negotiated the Panama Canal Treaties, along with peace talks in Rhodesia, Namibia and South Africa. He worked closely with Israeli Ministers Moshe Dayan and Ezer Weizman to secure the Camp David Accords in 1978. Vance insisted that the President make Paul Warnke Director of the Arms Control and Disarmament Agency, over strong opposition by Senator Henry M. Jackson. Vance also pushed for closer ties to the Soviet Union, and clashed frequently with the more hawkish National Security Advisor Zbigniew Brzezinski. Vance tried to advance arms limitations by working on the SALT II agreement with the Soviet Union, which he saw as the central diplomatic issue of the time, but Brzezinski lobbied for a tougher more assertive policy vis-a-vis the Soviets. He argued for strong condemnation of Soviet activity in Africa and in the Third World as well as successfully lobbying for normalized relations with the People's Republic of China in 1978. As Brzezinski took control of the negotiations, Vance was marginalized and his influence began to wane. When revolution erupted in Iran in late 1978, the two were divided on how to support the United States' ally the Shah of Iran. Vance argued in favor of reforms while Brzezinski urged him to crack down – the 'iron fist' approach. Unable to receive a direct course of action from Carter, the mixed messages that the shah received from Vance and Brzezinski contributed to his confusion and indecision as he fled Iran in January 1979 and his regime collapsed. Vance negotiated the SALT II agreement directly with Soviet Ambassador Anatoly Dobrynin, bypassing American Ambassador Malcolm Toon, who then criticized the agreement. In June 1978, President Carter and Soviet General Secretary Leonid Brezhnev signed the treaty in Vienna's Hofburg Imperial Palace in front of the international press but the Senate ultimately did not ratify it. After the Soviet invasion of Afghanistan on December 27, 1979, Vance's opposition to what he had called "visceral anti-Sovietism" led to a rapid reduction of his stature. Vance's attempt to surreptitiously negotiate a solution to the Iran hostage crisis with Ayatollah Ruhollah Khomeini through the Palestine Liberation Organization failed badly. Believing that diplomatic initiatives could see the hostages safely returned home, Vance initially fought off attempts by Brzezinski to pursue a military solution. Vance, struggling with gout, went to Florida on Thursday, April 10, 1980, for a long weekend. On Friday, the National Security Council held a newly scheduled meeting and authorized Operation Eagle Claw, a military expedition into Tehran to rescue the hostages. Deputy Secretary Warren Christopher, who attended the meeting in Vance's place, did not inform Vance. Furious, Vance handed in his resignation on principle, calling Brzezinski "evil". The only Secretaries of State who had previously resigned in protest were Lewis Cass, who resigned in the buildup to the Civil War, and William Jennings Bryan, who resigned in the buildup to World War I. President Carter aborted the operation after only five of the eight helicopters he had sent into the Dasht-e Kavir desert arrived in operational condition. As U.S. forces prepared to depart from the staging area, a helicopter collided with a transport plane, causing a fire that killed eight servicemen. Vance's resignation was confirmed several days later, and he was replaced by Senator Edmund Muskie. A second rescue mission was planned but never carried out, and the diplomatic efforts to negotiate the release of the hostages were handed over to Deputy Secretary Christopher. The hostages were released during the first inauguration of Ronald Reagan, after 444 days in captivity. In May 1970, Vance was appointed to serve as a commissioner in a landmark panel known as the Knapp Commission, which was formed and tasked by New York City Mayor John V. Lindsay with investigating systemic corruption at the New York Police Department. The Knapp Commission held televised hearings into police corruption and issued a final report of its findings in 1972. The work of the Knapp Commission led to the prosecution of police officers on charges of corruption and culminated in significant, if short-lived, reforms and oversight in respect of the police department, including the appointment of a temporary special prosecutor to investigate and prosecute corruption committed by NYPD officers, district attorneys, and judges. From 1974 to 1976, Vance served as president of the New York City Bar Association. Vance returned to his law practice at Simpson Thacher & Bartlett in 1980, but was repeatedly called back to public service throughout the 1980s and 1990s, participating in diplomatic missions to Bosnia, Croatia, and South Africa. Vance helped negotiate the dispute over the Nagorno-Karabakh region. In 1993, Vance was awarded the United States Military Academy's Sylvanus Thayer Award. In 1995 he again acted as Special Envoy of the Secretary-General of the United Nations and signed the interim accord as witness in the negotiations between the Republic of Macedonia and Greece. Vance was a member of the Trilateral Commission. Vance also served on the board of directors of IBM, Pan American World Airways, Manufacturers Hanover Trust, U.S. Steel, and The New York Times, as a trustee of the Yale Corporation, as Chairman of the Board of the Rockefeller Foundation, and Vice Chairman of the Council on Foreign Relations. Vance died at Mount Sinai Medical Center in New York City on January 12, 2002, at age 84, of pneumonia and other complications. His funeral was held at the Church of the Heavenly Rest in Manhattan. His remains were interred at the Arlington National Cemetery in Arlington, Virginia. His wife Grace died in New York City on March 22, 2008, at the age of 89. In 1999 Cyrus Vance was presented the Lifetime Contributions to American Diplomacy Award by the American Foreign Service Association. ^ a b c d e f g h i j k l m n o p q r s Marilyn Berger (13 January 2002). "Cyrus R. Vance, a Confidant Of Presidents, Is Dead at 84". The New York Times. p. A1. Retrieved 3 May 2017. ^ a b c d e f g h i j Bell, William Gardner (1992). ""Cyrus Roberts Vance"". Secretaries of War and Secretaries of the Army: Portraits and Biographical Sketches. United States Army Center of Military History. Archived from the original on December 14, 2007. Retrieved September 22, 2007. ^ a b "Birth Record Detail: Cyrus Roberts Vance". West Virginia Vital Research Records. West Virginia Division of Culture and History. Retrieved August 10, 2015. ^ "Birth Record Detail: John Carl III Vance". West Virginia Vital Research Records. West Virginia Division of Culture and History. Retrieved August 10, 2015. ^ a b c d e f g h i Douglas Brinkley (29 December 2002). "THE LIVES THEY LIVED; Out of the Loop". The New York Times Magazine. Retrieved 3 May 2017. ^ Goldstein, Richard (2 May 2017). "Malcolm Toon Made Waves as a Diplomat, but His Death Went Largely Unreported". The New York Times. p. B14. Retrieved 3 May 2017. ^ Betty Glad (2009). An Outsider in the White House: Jimmy Carter, His Advisors, and the Making of American Foreign Policy. pp. 264–68. ^ "The Legacy of Cyrus R. Vance". New York City Bar - Vance Center. Retrieved 20 September 2012. ^ Khoda Hafez. "A Message from AIC on the Occasion of the New Year". American Iranian Council. Archived from the original on June 14, 2011. Retrieved September 20, 2012. ^ "Vance, Grace Sloane". The New York Times (Paid Notice: Deaths). March 26, 2008. Retrieved October 3, 2013. ^ "Jefferson Awards Foundation Past Winners". Jefferson Awards Foundation. Retrieved 2018-03-15. McLellan, David S. Cyrus Vance (Rowman & Littlefield. 1985), scholarly biography..
Sexton, Mary DuBois. "The wages of principle and power: Cyrus R. Vance and the making of foreign policy in the Carter administration" (PhD. Dissertation, Georgetown University, 2009) [file:///C:/0-WORLD/Cold-War/Vance-PhD.pdf online]. Smith, Gaddis. Morality, Reason, and Power. American Diplomacy in the Carter Years (1986). This page was last edited on 8 April 2019, at 13:38 (UTC).